You need to login to make an offer. With Facsimile Notes and Commentary By M A Youssef. 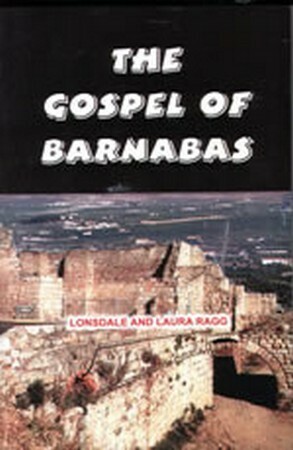 Lonsdale and Laura Ragg were responsible for translating it into English and printing it in 1907 with 70 pages of introduction giving reasons why various scholars believed that this was a fake Gospel written in the Middle Ages, however M A Yousef in his introduction to this edition gives convincing arguments as to the authenticity of the Gospel of Barnabas. The name of Joseph Barnabas has never been strange or unknown to the scholars of the New Testament of the Bible, however Muslims first became aware of the existence of this gospel through the work of George Sale who mentioned it in his translation of the Qur'an into English in 1734. In his preface, Sale mentions a Spanish version written by a Mostafa de Aranda, who claimed to have translated it from Italian. It was alleged that an Italian Christian monk, Fra Marino, had stolen it from the library of Pope Sixtus V (1585-1590) while the pope was asleep in his library and that Marino became a Muslim after reading it. This translation has somehow perished, although various fragments of the Spanish text are still available. The Italian version found its way to Holland and was found in 1709 in the possession of J.F. Cramer, a councillor to the King of Prussia (Germany). He, in 1713, gave it to Prince Eugene of Savoy and over the next few years it passed from one hand to another until it reached Vienna in 1738 and was deposited in the Imperial Library where it stays to this day.